Gender parity in workforce can boost GDP by 27%: IMF. 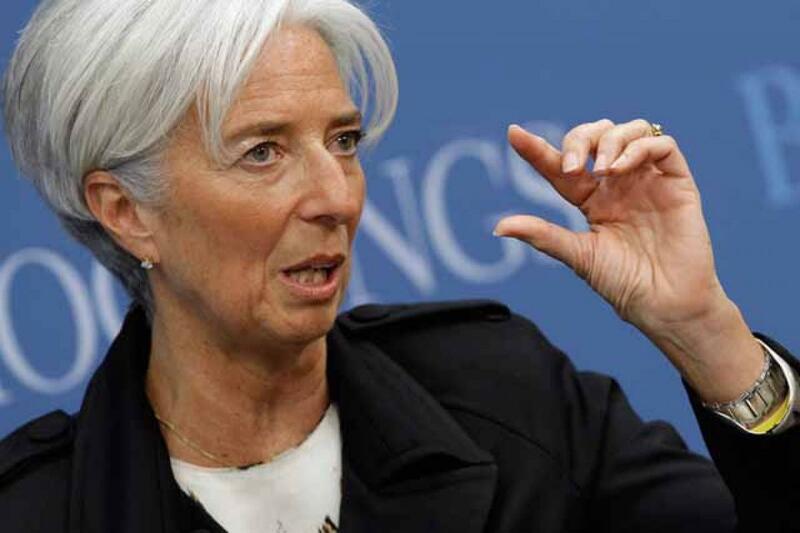 India\'s GDP can expand by a whopping 27 per cent if the number of female workers increases to the same level as that of men, IMF\'s chief Christine Lagarde said on Sunday. Ankara: India's GDP can expand by a whopping 27 per cent if the number of female workers increases to the same level as that of men, IMF's chief Christine Lagarde said on Sunday. This is much higher than the positive impact a 50-50 gender parity in workforce can have on the economies of the US and Japan at 5 per cent and 9 per cent respectively. Speaking at the launch of W20, a grouping of women leaders from the world's 20 largest economies including India, Lagarde said that "it is an absolute economic no-brainer" that empowering women boosts economic growth. "For example, we have estimates that, if the number of female workers were to increase to the same level as the number of men, GDP in the United States would expand by 5 per cent, by 9 per cent in Japan, and by 27 per cent in India," Lagarde said in a written keynote speech she had prepared for the event. "These estimates, while of course tentative, are significant and large enough to be taken seriously. This applies particularly to countries where potential growth is declining as the population is ageing," she added. While she could not read out the entire speech due to paucity of time, a copy of it was released later by IMF. Lagarde also said only big words should not matter for women and they must verify the delivery of the promises made for the women empowerment. She also said that men have a key role to play in the empowerment of women and quoted Indian-origin Nobel laureate Amartya Sen as saying, "Women are increasingly seen, by men as well as women, as active agents of change the dynamic promoters of social transformations that can alter the lives of both women and men." Referring to the G20 pledge of November 2014 to reduce the gap in women's labour force participation by 25 per cent by 2025, Lagarde said this would have the benefit of creating an estimated 100 million new jobs for the global economy.